This property welcomes 2 small dogs or 1 medium size dog. 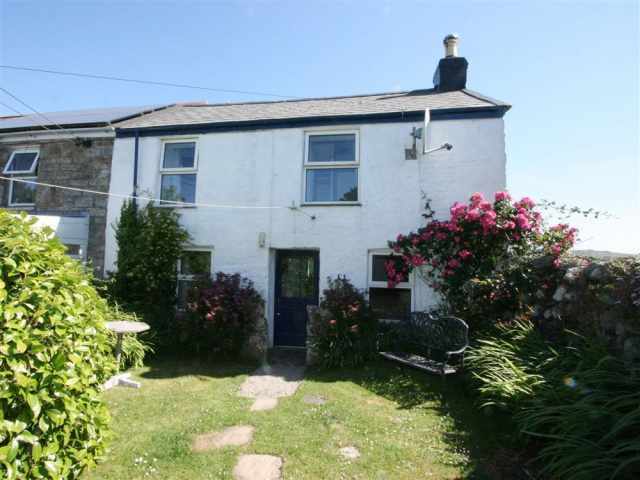 A charming, semi detached, traditionally presented property, Roseberry Cottage is located in the heart of Tintagel village and is close to an array of good quality restaurants, pubs and quirky shops. Next door to Roseberry is one of just a handful of wholly vegan restaurants in Cornwall. Tintagel Castle ruins (which is a site of ongoing archaeological digs), is within walking distance of Roseberry Cottage and is well worth a visit. The gorgeous Castle beach is within a miles walk of the cottage and Trebarwith beach can be reached on foot following the coastal footpath or is just a short car journey - 2 miles. The cottage can be accessed from the front (high street) or back (where the off road parking for one car is located). From the car parking space, two steps lead up to a Cornish stone pathway which leads round to the back door and shared sunny garden. As well as the beaches at Castle Cove and Trebarwith, for the more energetic guest, Bossiney Cove can be reached on foot over challenging terraine but is well worth the effort! St Materiana Church stands on the cliffs between Trevena and Tintagel Castle and is worthy of a visit for the views alone! Tintagel itself has a selection of shops including convenience store, post office, award winning visitor centre, good pubs serving food throughout the day and dedicated restaurants offering menus to suit all tastes. Entered through the well equipped kitchen/diner which leads into the hallway off which the cosy lounge is located at the front of the property. Carpeted stairs lead up to the three bedrooms and family bathroom WC. A spacious double bedroom to the front with room for a cot, handy wash basin and ample hanging and drawer space. A twin bedroom with wash hand basin and seperate single bedroom to the rear both again with ample hanging and drawer space. The property is heated via oil fired central heating throughout. The family bathroom WC has tiled flooring, bath with mixer shower overhead, wash hand basin and heated towel rail. Roseberry Cottage has the convenience of being centrally located whilst being able to provide off road, private parking and shared use of a sweet little garden for morning coffee and planning the day ahead. -This property welcomes 2 small dogs or 1 medium size dog.